Abdelaziz Bouteflika, Algeria’s president for two decades, has been forced out of office. Aged 82, he is the second octogenarian African leader to have been compelled to give up by people power. Zimbabwe’s Robert Mugabe was practically pushed out of office last November after 37 years in office. The remaining longtime president on the continent is Cameroon’s Paul Biya who earlier in the New Year was returned to power for the umpteenth time amid mass protests. Bouteflika said Tuesday he was resigning with immediate effect to let citizens “take Algeria to the better future they aspire to”. He took the rash decision in the face of massive street protests against his 20-year rule. He announced his resignation in a letter published by APS news agency, just hours after the army chief demanded immediate action to remove him from office. 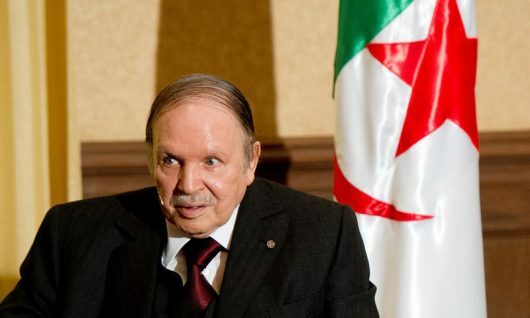 “My intention … is to contribute to calming down the souls and minds of the citizens so that they can collectively take Algeria to the better future they aspire to,” Bouteflika said in the letter to the president of the Constitutional Council. The anti-Bouteflika protests broke out in late February when the longtime president, who has rarely been seen in public since suffering a stroke in 2013, announced a plan to seek a fifth term in elections scheduled for April. Hundreds of thousands of people, for several weeks, took to the streets of Algiers and other major cities calling for the president’s resignation. On March 11, Bouteflika sought to defuse the unrest by abandoning his re-election bid. However, he delayed the presidential vote indefinitely and announced he would only step down once a new constitution had been passed and a successor had been elected. These concerns are legitimate because Algeria lacks an organised opposition as Bouteflika has “smashed every bit of opposition or bought them out”. The big challenge for Algeria, therefore, is to organise this transition as there are no strong well-constituted political parties. Fears have been expressed also over Salah, the army chief, possibly positioning himself to take control of Algeria. As it is, Bouteflika‘s resignation is not going to end the protests. Algerians are determined that the old guard be cleaned out completely. In Algiers, 65-year-old Halima said she intended to continue to protest until Bouteflika’s allies also stepped down. “We are turning a page in Algeria’s history,” she said. What is happening in Algeria today is an indication that the spark has not gone of the Arab Spring revolution fire lit in neighbouring Egypt in late 2010. It is also a message to the continent’s sit-tight leaders that their time is up.